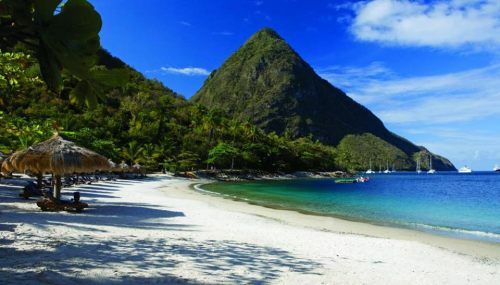 Air Transat has dropped the price of their non-stop flights from Toronto to the Caribbean island of Saint Lucia down to $429 CAD roundtrip including taxes. Dates for winter 2017 travel are available. This is 25% below the typical best roundtrip price from Toronto to Saint Lucia. 4 Responses to "Toronto to Saint Lucia - $429 CAD roundtrip including taxes | non-stop flights, winter 2017 travel"
The email says Belize as well? Yep, the post about Belize is a separate page. If you have a look under 'Recent Posts' at the top left you will see it there.